home → Real Estate → Buying → Is Downsizing Your Home a Good Idea? Is Downsizing Your Home a Good Idea? If you are thinking about downsizing your home, there are many different things that you will need to consider. Many people are tempted to downsize in order to save money and live within their means. However, it might not always save you as much money as you think. Here are a few things to consider about downsizing your home. The first thing that you will have to do in order to downsize is sell your existing home. Many people fail to consider all of the variables that are involved with this transaction. You will need to be able to get close to the market value of your home in order for this to work out. If you try to sell your home quickly at a discount, it will not benefit you to downsize. The point of downsizing is to maximize the amount of money that you have. If you leave money on the table with the sale of your house, you will be defeating the purpose of downsizing. When selling your home, you will also need to consider the transaction costs that will be involved. If you use a real estate agent to sell the home, you will be spending approximately 6 percent of the sale price. You may also have to put money into the house to fix it up in order to sell. Sit down and consider all of the costs that will be associated with selling your home. This is the first step in determining whether you should downsize. You also need to try to determine how much you will be able to save on a monthly basis. Most of the time, you will not be able to save as much as you think. Start looking at smaller houses or condos in the area. Determine how much they have been selling for. Then you need to use a mortgage calculator to determine how much your new monthly payment will be. Even if you are borrowing several thousand dollars less for your new home, you might be able to save only $100 or less on your mortgage payment. In most cases, the objective in downsizing is to lower your monthly payments. Therefore, you have to determine if the difference in monthly payments between the homes is worth going through the process of downsizing. Another common objective in downsizing your home is to accumulate some savings. 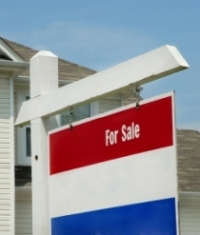 When you sell your existing home, you should be able to realize some profit in most cases. Try to determine the difference between what you can sell your existing home for and the balance on the mortgage. This difference will provide you with some money for savings. You need to determine how much money you want to be able to accumulate in savings if you downsize. If the amount that you calculate is insufficient, you might want to avoid the deal.